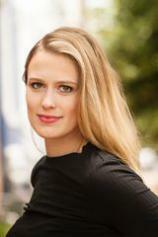 Elizabeth Flock is a reporter for "PBS NewsHour." She began her career at Forbes India magazine, where she spent two years as a features reporter in Mumbai, and has worked for U.S. News & World Report and the Washington Post. She has also written for major outlets, including the New York Times, the Atlantic, Al Jazeera, Hindustan Times and The Hindu. She lives in Washington, DC.